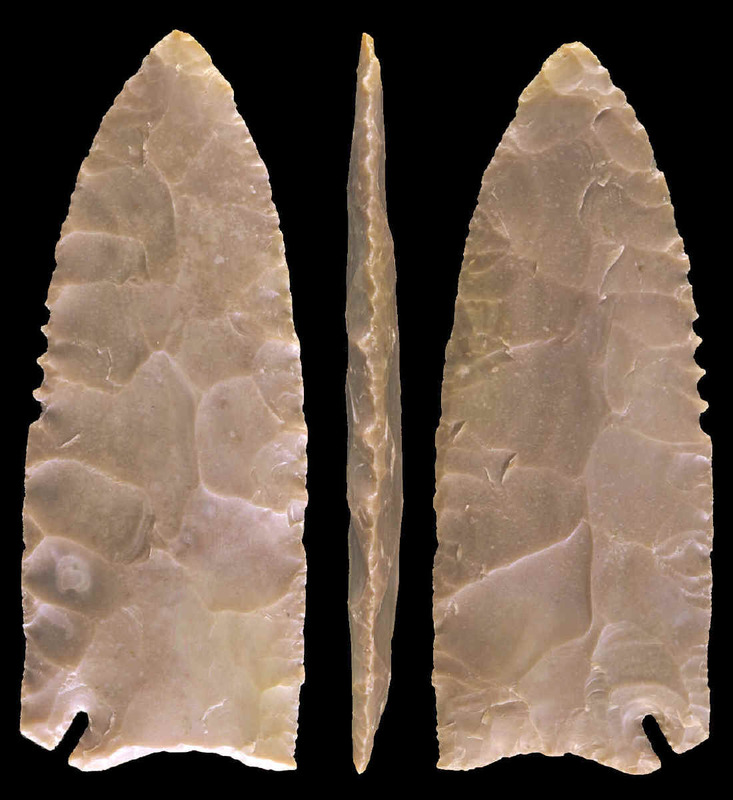 USED IN CONJUNCTION WITH THE CD: "FLINTKNAPPING, THE ART OF THE ANCIENTS"
This corner notched biface was made by Woody Blackwell. Woody describes the different stages-of-manufacture in his flintknapping instruction CD called "Flintknapping, The Art of the Ancients." This biface exhibits several different manufacturing processes. One of the notches and part of the edge is finished. But other areas of the biface have been left unfinished. One of the blade edges has three good examples of isolated platforms that have yet to be removed with pressure. There are also examples of edge serrations, percussion and pressure flaking and an isolated platform located in the center of the base. This biface measures 5 13/16 inches (14.7 cm) long.